Most people would say that Geography is the study of maps or the study of where things are in the world. Although this is true, the definition of geography cannot be narrowed down to this only. 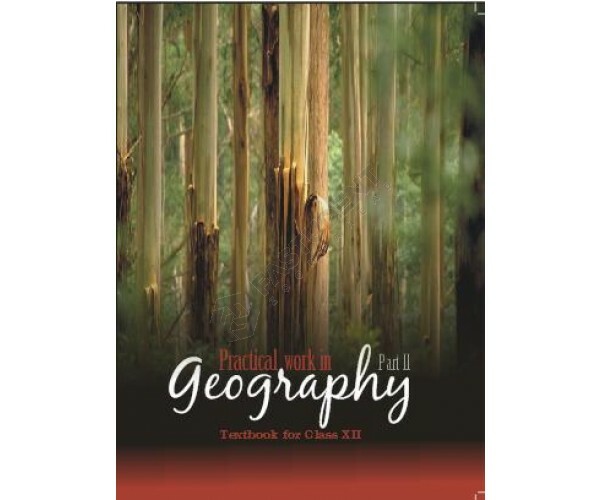 Firstly, geography is the study of Earth’s landscapes, peoples, places, and environments. As humans, we have always been curious about the world, and maybe that’s why many people think that geography is the oldest of all the sciences. The ancient Greek scholar Eratosthenes is known as the father of geography as he had first coined the term. As one of the broadest of all the sciences, geography takes on almost everything that concerns our world. For example, it takes a look at what our communities look like, how people’s choices affect nature, Earth’s physical changes, human development, much more. It doesn’t just answer the question ‘What’s over there?’ It also tells us who’s over there, how long they’ve been there, and why they like it there. To cover such a huge amount of information, the field of geography is usually broken down into two major categories; they are cultural geography and physical geography. Geography lessons can make a world of difference in students’ knowledge of the world and in their test scores. That’s because geography is multidisciplinary by nature. It involves math, language, history, literature, and many other curriculum subjects. This is what makes geography such a great vehicle for improving student skills — and why it would be wise for all teachers to have geography lessons into their curriculum. To understand basic physical systems those affect our everyday life (e.g. earth-sun relationships, water cycles, and wind and ocean currents). To be able to make sensible judgments about matters involving relationships between the physical environment and society. To understand global interdependence and to become a better global citizen. Geography is both a science and an art. It tries to develop good citizens who may be able to solve various socio-economic as well as political problems of the country. The importance of geography can be understood more clearly by considering the effect of geography teaching and the importance of the subject in Economic, political and social, cultural and intellectual parlance. By being attentive in class and taking any notes you feel are relevant (in addition to the notes given by the teacher). Next, prepare a study schedule prioritizing topics according to marks weightage and difficulty. Focus on preparing from NCERT books and take help from other books for reference. Try to find links between the chapters as that will help you remember the information more easily. Use easy ways to memorize concepts such as flash cards to help you memorize details. Don’t try to memorize complete answers. Try to remember the basic points and elaborate them in your own words. Practice questions related to maps all through the year as cramming locations just before the exam will not help. Read the text at least thrice and try to summarize it in your words. Keep at least 2 months for revision. Before you begin revision, attempt few previous year papers and ask your teacher to point out your mistakes. This will help you spot your weak points and do your revision accordingly. Prepare a fresh study schedule, keeping time for both easy and difficult chapters. When you study begin with an easy chapter first to help boost your confidence, and then tackle difficult topics. You may like to create flow-charts and mind maps for quick revisions and easier recollections. You can also try group study with friends by preparing a topic each to explain and discuss with your batch mates. Solve previous year papers/ sample papers to identify trends and to practice writing answers according to the given word limits. Be clear when answering questions avoid writing long paragraphs. Put in your best efforts for the practical segment. The marks allotted to the practical can give a significant boost to your overall percentage in Geography. It is easy to become overwhelmed with the vast amount of topics to study. However, it is important to focus your attention on one topic at a time. Use geography class 12 NCERT solutions for reference and questions and answers as required. If you process with your Geography board exam preparation in this fashion you are sure to complete your entire course syllabus thoroughly and that too in no time. Of course if you are a teacher, you would need to create projects for your class to keep them interested and involved at the same time. Locating famous landmarks around the world on a map. This would develop your students’ researching skills. Students create colorful maps to illustrate “top ten” statistics about our world. Help students trace the origin and distribution of food.